You are sick or hurt. You go to the doctor. They give you medicine to get better. But the medicine to cure is far worse than the original disease because it kills you. If this happens to someone you love, it is your worst nightmare. In massive numbers, this scenario plays out every day in this country. Medication errors lead to 7,000 deaths a year. Loss of life is always painful but it is particularly hard when the mistake that caused the death was so simple as pharmacy errors are. 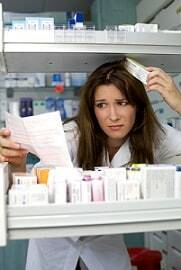 Pharmacy errors can take on several forms, each of which can harm a patient on the receiving end of a mistake. Sometimes, doctors just write down the wrong drug or the wrong dosage. With some drugs, .2 grams is appropriate and 2 grams can cause injury or death. It is just a decimal, but it can be the difference between life and death. Pharmacists also cause fatal injuries by giving out the wrong medications, filling the incorrect dosages, or providing inaccurate instructions on how to take the medication. 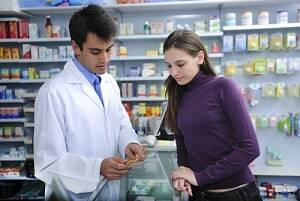 Mistakes by pharmacists in giving patients the right medication affects a large number of people nationwide. The Institute of Medicine found that medication errors hurt about 1.5 million people very year. The scope of the problem is hard to fathom. Given the wide range of victims, and the potential for such pharmacy errors to cause the death of the victims involved, it's important for the families of the victims to know their rights regarding potential wrongful death lawsuits. Who Are the Beneficiaries in a Maryland Fatality Claim? Under the Maryland Wrongful Death Act, the parents, spouses, or children of the deceased victim of a pharmacy error can bring an action against the pharmacy for damages. The plaintiffs can sue for economic loss. They can also sue for the worst harm of all if you are a surviving family member: the mental anguish and emotional pain and suffering of losing someone you dearly love. Our Wrongful Death Act is meant to allow the family of the victim to ease the mental and emotional pain from the loss of the victim while also trying to help replace the loss of the victim's income to the extent that it was relied on by the family members. The Act can be used by family members in a pharmacy error case to hold the pharmacy responsible for the victim's death at the hands of a medication mistake. Potential plaintiffs need to take special care in making sure that they bring a claim under this act in a timely fashion. The family of the deceased victim of pharmacy error generally, with some exceptions, has three years from the date of the victim's passing to file a lawsuit. This means that the family of the victim needs to seek counsel as soon as possible if they suspect that pharmacy error led to the victim's death, since preparing for and filing a lawsuit can be a process. We need to be able to review the medical records, evaluate the case, and go over the records with doctors who can serve as expert witness in the case. Maryland: $845,000 Settlement. The victim, a married business executive in his early 70s, went to the pharmacy to pick up and begin taking a prescription for penicillin. When he requested a cup of water to take his first pill, the pharmacy clerk instead handed him a cup of liquid stannous fluoride. The victim began vomiting uncontrollably, and complications from the cup of stannous fluoride eventually led to cardiac arrest, irreversible brain damage, and death. The victim's wife and children filed a lawsuit seeking funeral and medical expenses, $45,000 per year in lost income, as well as loss of consortium for the victim's wife. Maryland: $2,500,000 Verdict. A 21 year old student presented to defendant hospital as an outpatient for treatment of dysthymia, a form of depression. The psychiatrist, a fourth year resident, prescribed an antidepressant. A side-effect of the antidepressant is cardio toxicity. Three months after beginning the prescription, she collapsed to the floor, grasping from breath. She had developed arrhythmias and died as a result. Plaintiff alleged that defendant failed to train and supervise its residents, in that the resident over-prescribed the medication and failed to monitor the level in decedent’s blood. Defendant claimed the decedent was non-compliant with her medications and failed to provide the psychiatrist with critical information to the adjustment of her dosage of medication. Ohio: $1,930,000 Verdict. – An 84 year old woman died while being cared for at a nursing home, a common venue for these errors. A wrongful death lawsuit was brought alleging that the decedent was negligently given the wrong medication, causing her blood sugar to drop, leading to brain damage and her eventual death. Defendant senior living center denied negligence and contended she died from an infection. The decedent was not diabetic, leading to a reasonable explanation that she had to have been given an unprescribed anti-diabetic medication. The jury awarded $400,000 on the survivorship claim; $280,000 on the wrongful death claim; and $1,250,000 in punitive damages. Massachusetts: $750,000 Settlement. – A 59 year old woman who had taken anti-seizure medication over the course of 20 years was told by a new primary care doctor to discontinue the medication. The woman had never received an EEG confirming the seizure disorder, and was told by the new doctor that she probably had an anxiety disorder instead, and to discontinue the medication. The decedent died several weeks later. The autopsy concluded that the likely cause of death was seizure disorder. The defendant denied liability but agreed to a $750,000 settlement. Texas: $10,700,000 Verdict. – The family of a man who suffered an overdose after taking a prescription “cocktail” given to him at a pain clinic filed a wrongful death lawsuit. After four days of trial, it was argued that the defendant clinic was a “pill mill” and that there was no legitimate medical use for the “cocktail” of medication that the decedent was prescribed. The first act the family of a victim of pharmacy error in Maryland should take for a wrongful death lawsuit is to find an attorney to go over the facts surrounding the error and its effect on the victim. The other important step the family needs to take is deciding, after discussing what happened with the lawyer, whether to file the lawsuit and seek damages under the Wrongful Death Act. To find out if we can help you bring your claim, get a free no obligation case consultation at 800-553-8082 or we can evaluate your case on-line.